Government has with immediate effect directed that civil servants be awarded a ‘cushioning allowance’ of between 22,7 percent and 5 percent per month on a sliding scale between January and March. 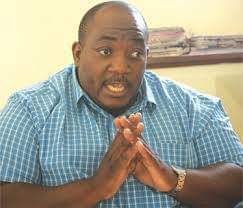 According to the Minister of Public Service, Labour and Social Welfare Dr Sekai Nzenza, the intervention will not affect the ongoing negotiations between Government and its workers for a cost of living adjustment. “This once off payment is meant to mitigate against the erosion of disposable incomes.